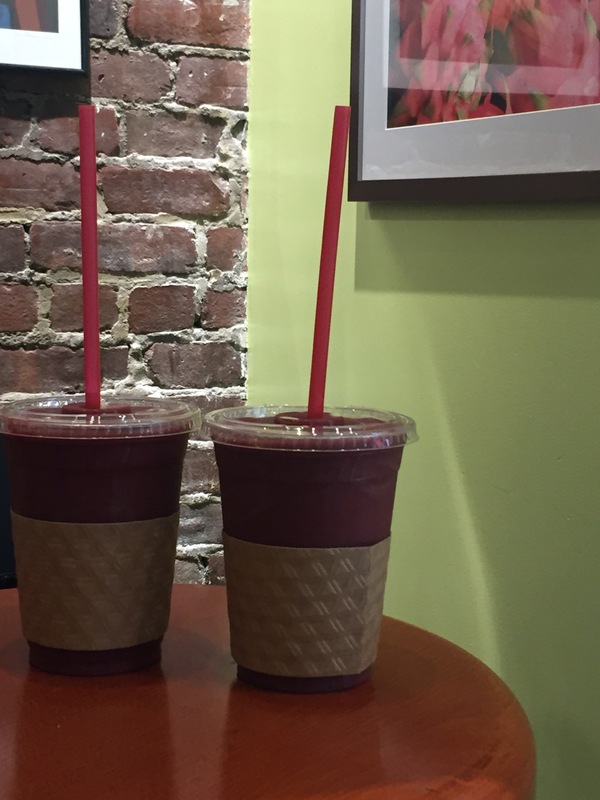 Sometimes you just have to be healthy, real healthy. 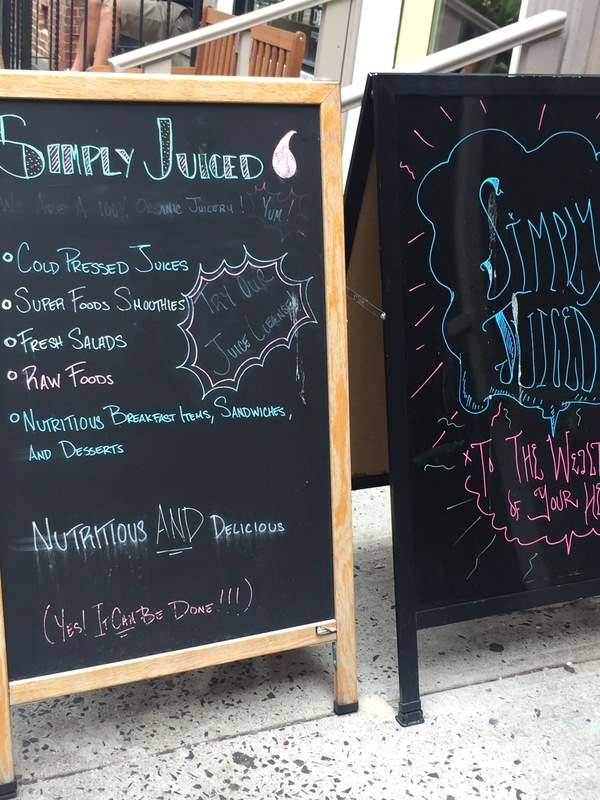 While in Hoboken, New Jersey I opted to try a place I’ve never been to titled Simply Juiced. 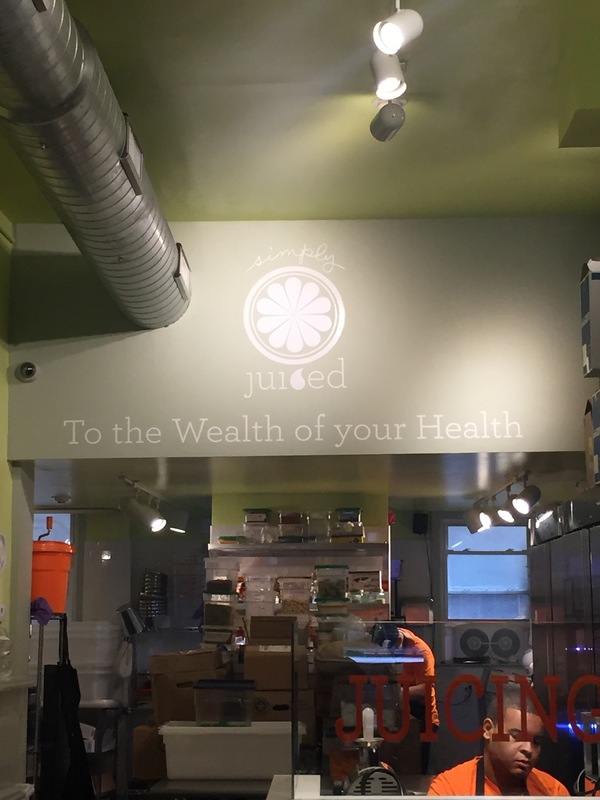 It’s in the name, but in case you’re wondering this place is known for it’s juices, smoothies and other healthy treats such as energy balls. 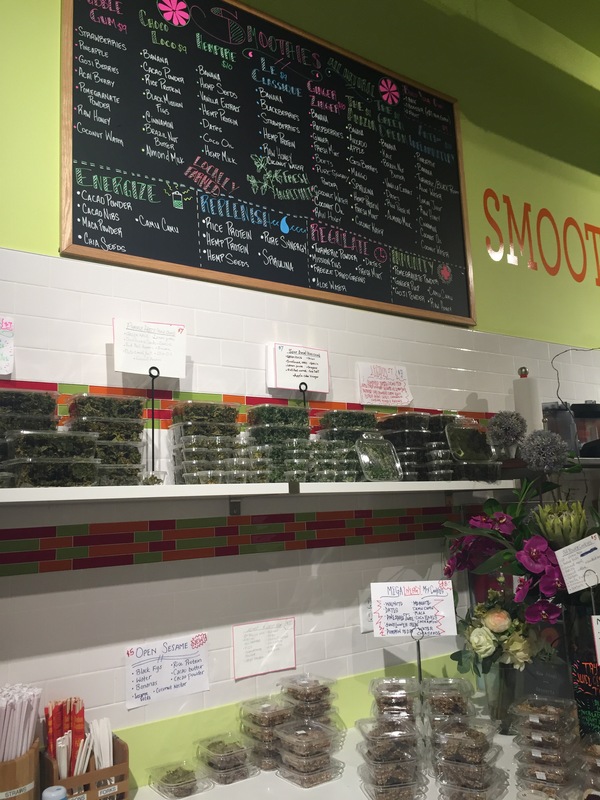 When I walked into this tiny little establishment I immediately noticed the colorful menu and decided to get the Bubble Gum smoothie which is made of strawberries, pineapple, goji berries, acai berry, pomegranate powder, raw honey and coconut. At first I was a bit shocked at how healthy it actually tasted and wasn’t so sure I liked it but after a couple of sips I did really enjoy it.